Wagyu cattle are known to have very low dystocia rates when it comes to calving. They are docile and compatible for easy animal husbandry. Wagyu’s genetic makeup can be considered very different compared to other cattle breeds due to their size and stance. Wagyu beef is healthy with a higher monounsaturated fat to saturated fat ratio than other beef. 40% of the beef is stearic acid which has a minimal impact on raising cholesterol. It is also 30% higher in fatty acid CLA (Conjugated Linoleic Acid) than other breeds meaning it is better for human health. The unique flavor and tenderness of Wagyu beef have gourmet cooks and fine dining restaurants serving this meat as an incredible dinner for the discerning customer. 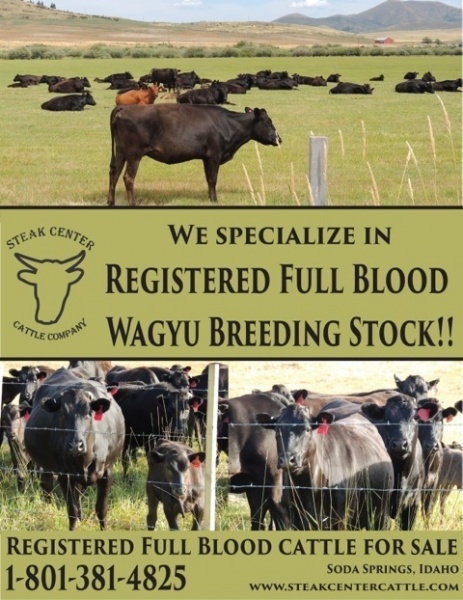 Find out more information about our Wagyu Beef Cattle by contacting us today!